Wrought iron fences are a beautiful addition to any yard and are used in lots of planned communities to divide property in an aesthetic fashion. Their inherent design allows for unblocked views of natural features such as lakes and golf courses and gives an open and spacious feel to yards surrounded by them. While wrought iron fences are quite durable, they do need maintenance to prolong their useful life and keep up their appearance. If you follow these steps every couple of years, or whenever wear is noticeable, your fence will remain in good shape and you will save on costly replacements. 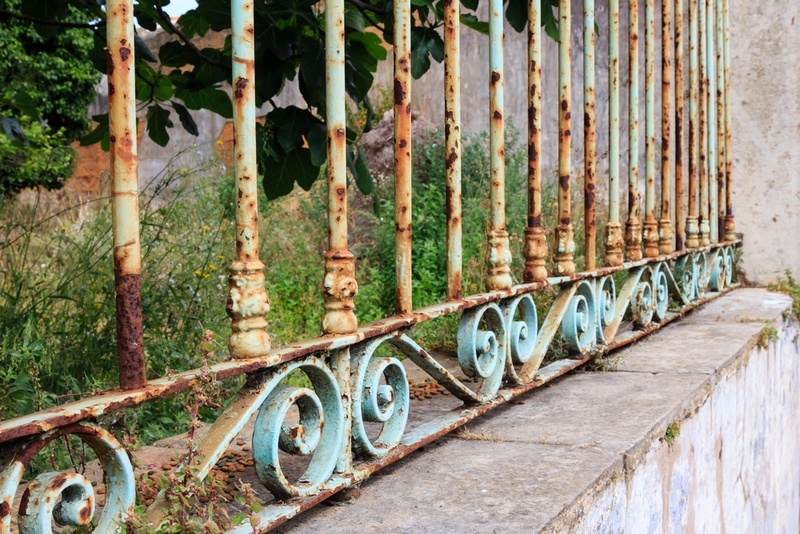 When you begin to notice peeling paint or rust spots, take action. Waiting until these situations get worse only leads to more work and expense down the road. To begin, use sandpaper to remove the peeling paint and create a smooth surface. If rust is present, get a wire brush and scrape it away, again leaving as smooth a surface as possible. Wipe away the dust and apply a primer intended to prevent rusting. You can either paint the primer on with a brush or use the kind in an aerosol can. Let it dry for a day or two. The next step is to apply the fresh paint. Check with someone at the home repair store or do your own research to ensure the paint you choose is also anti-rust and will pair well with the primer you used. Get the right color match, too. Using a paintbrush or soft roller will work great to get into the little corners formed by the posts and bars. This paint is also available in an aerosol can which can make for faster work, especially if you have a long fence. If your fence has rusted through in areas, you need to call in the professionals. They can repair your existing fence by filling the holes with special putty and may even need to solder pieces back together.